I’ve been to Paris few times now…taking guests to places. Most of the time we end up going to the same usual spots that they want to see or we think they should see in Paris, like Eiffel Tower, Notre Dame Cathedral, Louvre,….and more places depending on allowed time. Last visit to Paris was with my aunt from Baltimore, Maryland. It was her first visit to Europe and we decided to take her to Paris for a brief trip in a weekend. Although I am not a great fan of big cities, but Paris never fails to surprise me with its atmosphere and surroundings. But this time I was determined to go somewhere in that Romantic city where we never put our feet before. 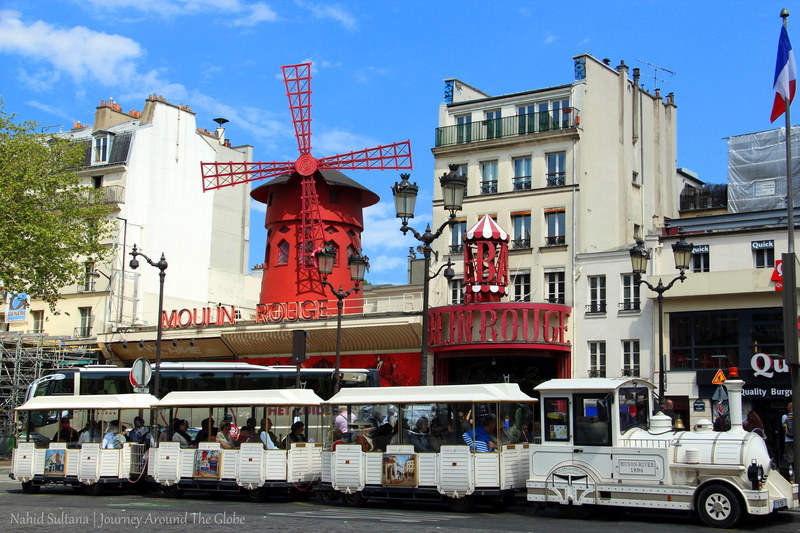 It was Moulin Rouge…the classic cabaret which was the birthplace of modern can-can dance. Wonderful. I am gonna go there next time I am going France.